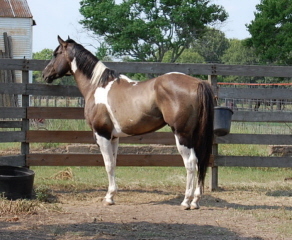 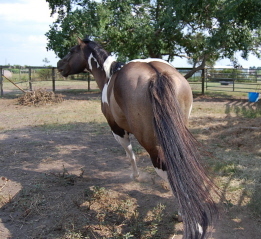 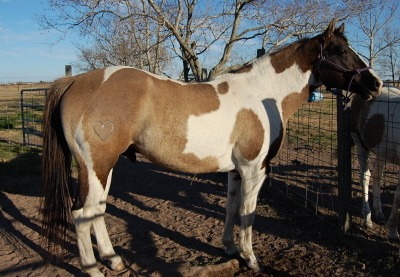 This is our Grullo APHA stallion! 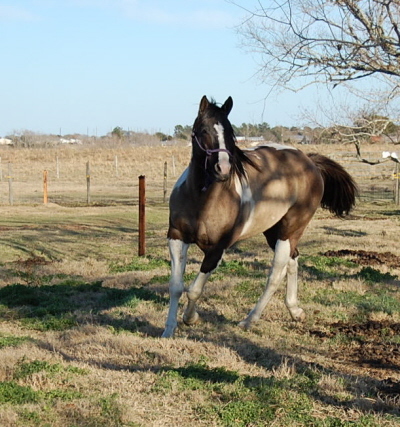 We bred Shade & Lady to him back in 2007 and were very pleased with the 2 resulting fillies. 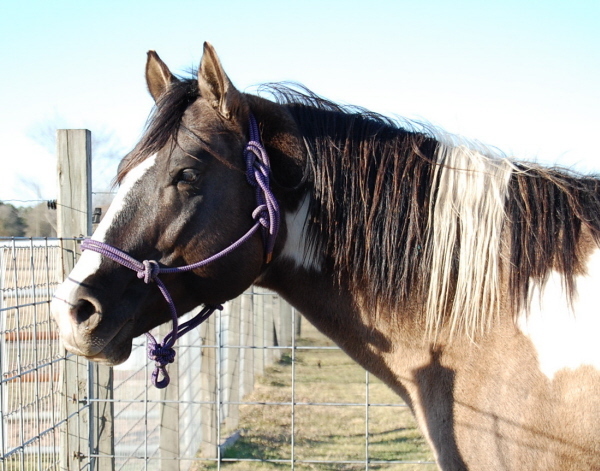 When he came up for sale, it wasn't a hard decision to bring him to our farm. 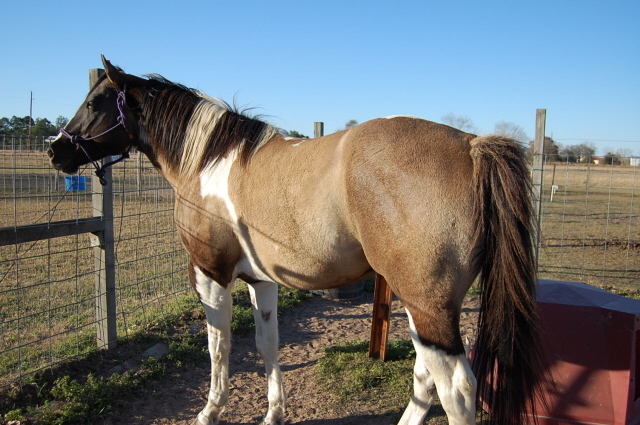 He is 15H tall, built very nicely and has a great pedigree to boot. 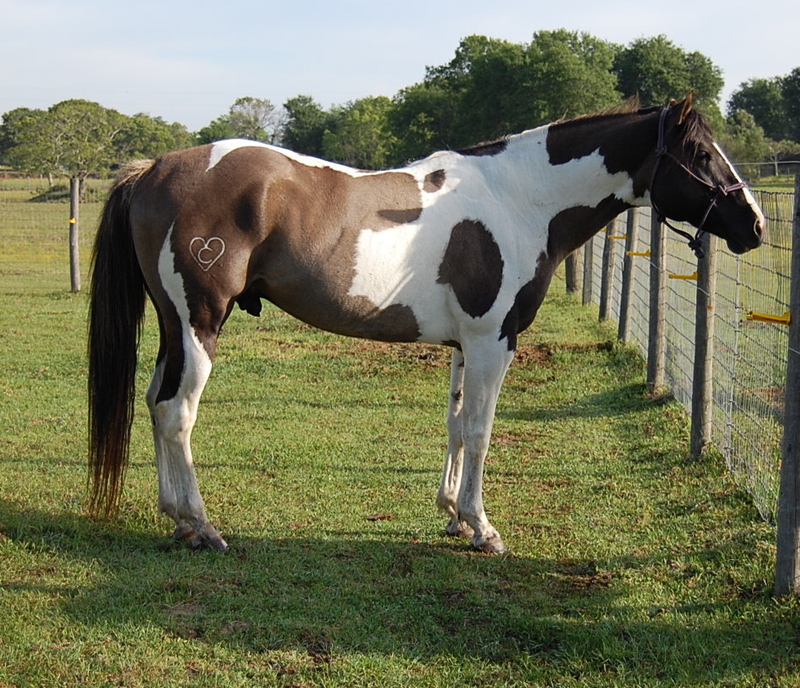 Although Painted Grullo Dude is IMPRESSIVE bred on the top side, his sire is tested HYPP N/N so there is no worry of that being inherited from him. 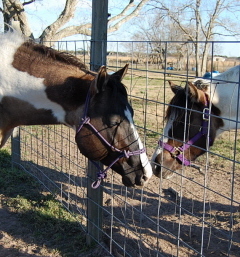 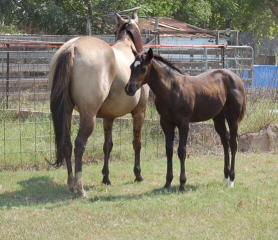 The fillies in October 2008 after weaning ~ Both are very friendly and easy to work with. 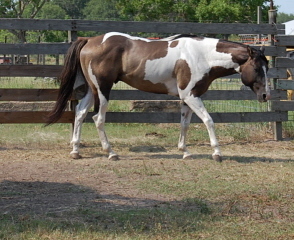 This is Toby in his everyday, outside pasture clothes. 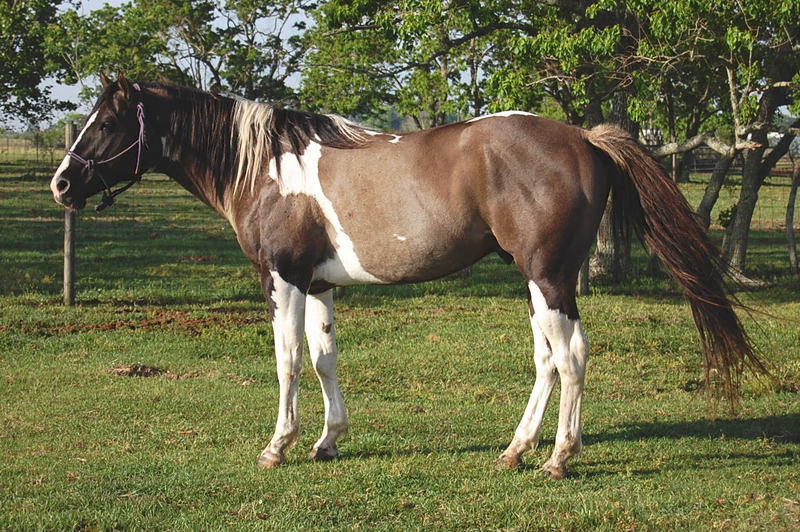 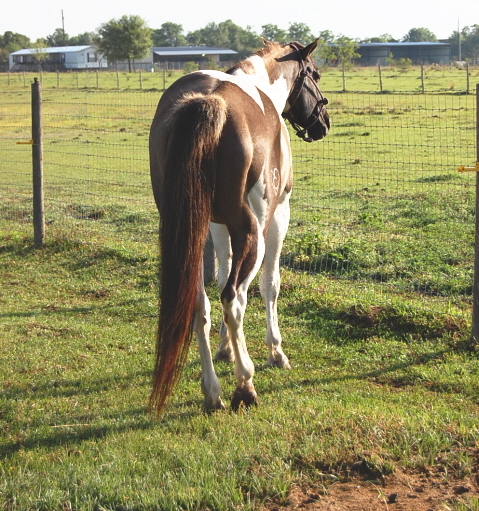 This stallion does have a red gene so he can sire RED DUN as well as DUN & GRULLO. 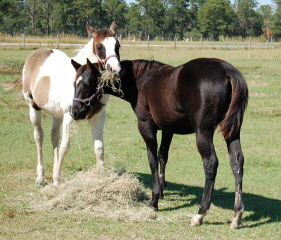 He does not carry agouti (turns black to bay) so bred to non agouti black mares, he should throw Blacks and Grullo. 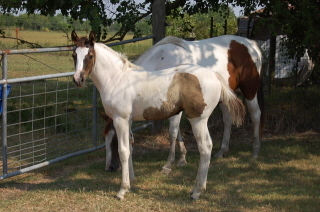 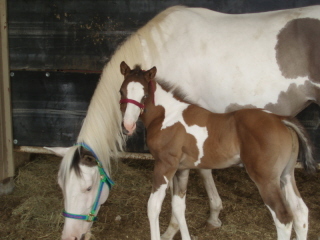 Bred to bays you will likely get DUN and bred to sorrel will give the full range of possible colors including Black, Bay, Sorrel, Grullo, Dun and Red Dun ~ all with or without paint spots.